3D printing is rapidly expanding across sectors, with varied applications. Starting its journey with industrial applications, 3D printing is now finding its way into art and design. One of the primary and the oldest application of 3D printing is rapid prototyping. With development in new materials and technologies, now 3D printing is also used for producing end use products. Get started with your 3d Printer Buyer’s Guide to purchase your first 3d printer. 3D printing has more than 85 material with 20 technologies. While buying a machine it is very important for a designer to understand the kind of design and final application of prototype. Today, there are desktop 3D printers available for FDM (Fused Deposition Modelling), FFF (a lower form of FDM) and SLA (Stereo Lithography Apparatus). For basic form prototype, one should not hesitate to purchase a desktop 3d printer. FFF also known as RepRap 3D printers are really economical but requires decent amount of maintenance on daily basis. The prototype manufactured using these machines might have layers visible and can have lower precision that can go up to +/- 1mm in some cases. FDM and SLA printers are a bit expensive but worth the precision and accuracy the produce. With subsequent post processing operations, the parts can be finished to look like an end product. For functional and fitment prototypes, investing in high end machine is a good option. A result oriented industrial 3D printer starts with INR 1.5 crores. These industrial printers are used for very precise and end use application prototypes. As lucrative as it might seem to buy a 3D printer, it is very important for one to understand his need for prototyping and the way he intends to use the prototypes. If a designer is uncertain about how he is intending to use the prototype he might land up buying a wrong machine of an unsuitable technology. In this case, it is always better he takes up advice from reliable sources. Desktop 3D printing is good for self-learning and quickly sharing your raw concept to customers, colleagues or investors. 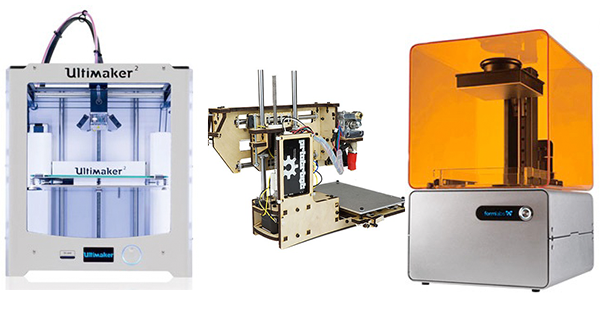 These 3d printer buyer’s guide from Chizel, will help you get your best desktop 3d printer. For anything more, we recommend industrial prototyping. Using a 3D printer and not getting it checked, serviced, and calibrated to get the desired precision and accuracy, eventually leads to a bad investment.